One may have insomnia because of a disease. Stress can also cause one to not get enough sleep. One may be excessively worried about not getting enough sleep. Insomnia may be caused because of an imbalance in the body. We know insomnia as a condition that makes it difficult for us to fall asleep. But then, there is another type of insomnia that makes it difficult for people to stay asleep, called sleep-maintaining insomnia. And, yet another type of insomnia is one that makes you wake up early in the morning, called early morning awakening. Well, there are about 11 types of insomnia that are little known. Let’s help you with a short guide. Insomnia is not ‘one’ condition. It is a classification of disorders in which a person has difficulty falling asleep, staying asleep or waking up way too early. The general classification of insomnia is based on an overall poor quality of sleep. This type of insomnia starts at the time of infancy or childhood and may easily advance to adulthood. It may be a result of an imbalance in the body, such as an underactive sleep system or overactive awakening system. The true cause of this disorder is yet to be discovered. This type of insomnia, also referred to as short-term insomnia, disturbs one’s sleep and is caused by stress. It usually stops when the source of stress is gone or the patient adapts to the stress. It is not necessary for the stressor to always be negative; it can also be positive. This type of insomnia occurs when children do not go to bed unless their parent or guardian is around. It can be treated without a doctor’s advice by enforcing strict bed timings. This type of insomnia describes excessive worrying about not getting enough sleep. It may either occur all of a sudden or take years. People with this disorder tend to worry a lot about not getting enough sleep and about being tired the following day. This makes them habituated to being tensed as well as anxious as they get closer to their bedtime. They keep worrying about falling asleep that they end up not sleeping at all. This type of insomnia is caused because of a mental health disorder. In fact, it is a sign of an underlying mental health condition. Therefore, its course or severity depends on the course and severity of the disease. It is classified as a disorder only if it is so serious as to require treatment. This type of insomnia usually occurs without any objective evidence of any sort of sleep disturbance. People suffering from it tend to go without sleep for one or more nights and often report to being profoundly aware of the external environment or even the internal processes that are in tune with being awake. They underestimate the total time they slept. 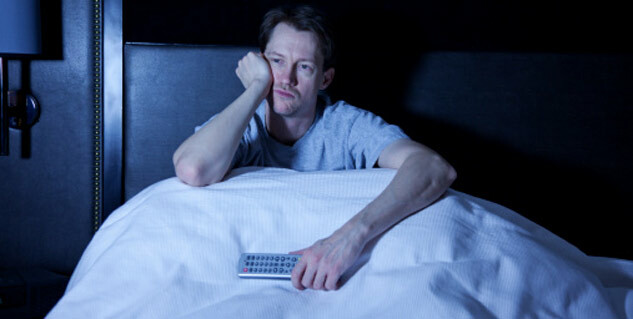 This type of insomnia is related directly to use of medication, alcohol, caffeine or a food item. This type of insomnia may stop when you stop using the substance. This type of insomnia suggests that known substances as well as other physical triggers of insomnia have been ruled out and the likely cause of the problem is perhaps an underlying mental health disorder, a sleep disruptive behavior or some psychological factor. This name may also be used on the prescription letter to indicate that further testing may be required. This type of insomnia may be a result of a physical condition, mental disorder or exposure to substance, though the specific cause remains unclear. This indicates that further testing is required to come to a conclusive diagnosis. If you have not been getting enough sleep, you should try to get some. If trying does not work, never forget to visit the doctor and seek professional assistance.